What do éclairs, Napoléons, cream puffs, Boston Cream Pie, tarts, Italian pastries and so many other desserts have in common? If you guessed pastry cream, you would be right! Pastry cream, also referred to as crème pâtissière in French and crema pasticcera in Italian is (according to wikipedia) a thick custard made from a mixture of cooked ingredients. … and you won’t believe how easy they all come together to make the most luxurious pastry cream. 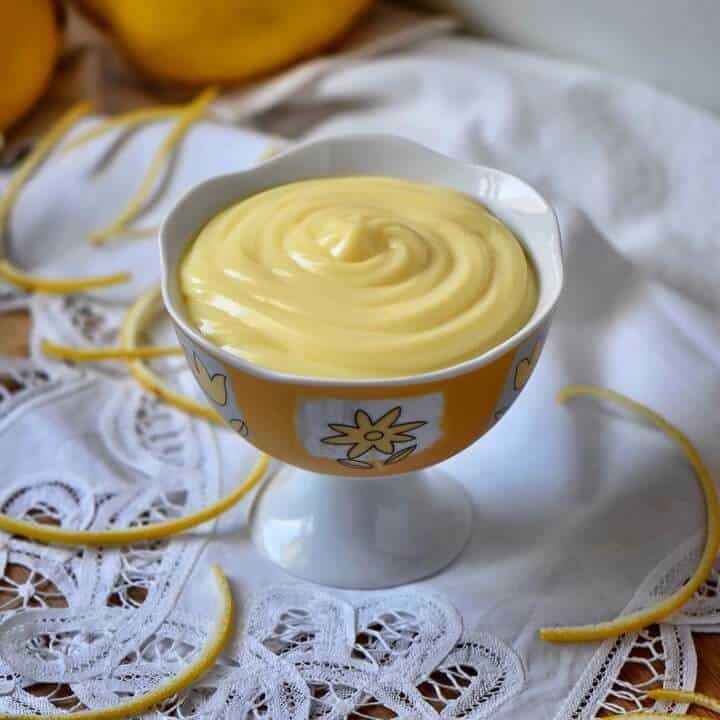 The whole process of making lemon pastry cream begins by infusing milk with lemon peel. So, in a heavy, medium saucepan, over medium heat, combine the lemon peel and milk. When the milk starts to steam, remove from heat and allow to stand for about 10 minutes. During this time, the milk will get infused with the lemon. While the milk is being infused with the lemon, whisk the room temperature eggs with the sugar, the sifted cornstarch and a pinch of salt. 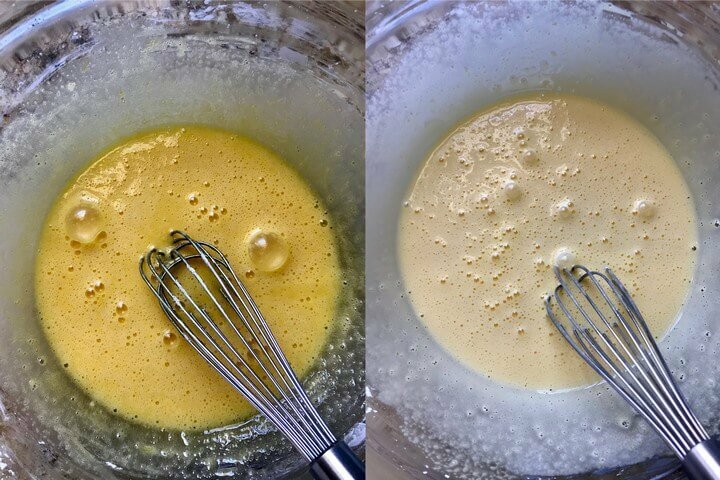 Notice how the mixture becomes lighter and paler in color after just five minutes of whisking. Whisking the dry ingredients with the eggs is key if we want a smooth and thick pastry cream. So don’t be shy… whisk away! Please note that the proportions and type of the ingredients used to make pastry cream can vary greatly. The type and amount of starch used to thicken the custard is just one example. I prefer using cornstarch, not only does this create a gluten free pastry cream, but there is no “floury” aftertaste. I have tried so many combinations and ratios of flour to cornstarch over the years… once again, I am only sharing my personal preference. The next step is to combine the two mixtures. Remove the lemon peel from the warm milk. While whisking continuously, add a ladle of milk to the egg mixture. Gradually add all the milk while whisking continuously. It’s now time to transfer the newly formed egg and milk mixture back to the saucepan, over medium/medium low heat. Whisk continuously for about 5 minutes. You will notice that the mixture will thicken. Do not allow mixture to come to a boil as this can potentially cause the mixture to separate. Once the mixture has thickened, remove from heat and allow to cool for a few minutes. 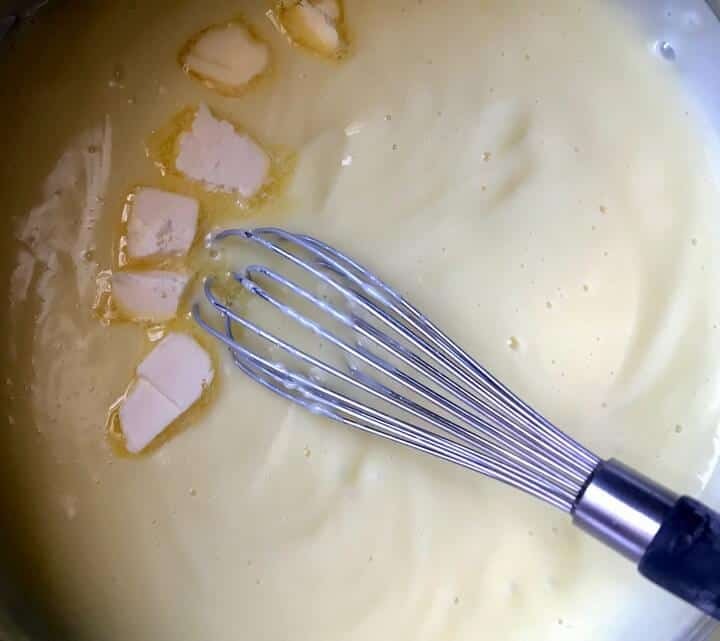 The whisking of butter into the finished product is optional, but it guarantees to add flavor and a nice gleam to the pastry cream. The final step is to transfer the pastry cream to a glass or ceramic bowl and place a piece of plastic film directly on the custard. This will prevent the creation of a film or skin on the cream. Allow the mixture to cool for 20 minutes and then refrigerate. The only thing left to do is to wait a couple of hours for your pudding to get cold. Congratulations! You have just made best pastry cream!!! Allow ingredients to come to room temperature. Use a saucepan with a heavy bottom (do not use aluminum as this will create a grayish-looking pastry cream. Use medium-low to medium heat to prevent the eggs from curdling. Strain warm pastry cream through a strainer if ever the mixture forms any lumps. Constant stirring! Yes, I said this already but it really is important -no distractions so put away that cell phone. I was fortunate to live with two amazing women who just loved to cook and bake. It goes without saying that my mom and grandmother provided me with so much support and guidance as I began to show an interest, especially in baking. The initial inspiration for this pastry cream came from my mom. Through the years, I switched things around to suit my personal preferences. The end result is a rich, smooth and decadent pastry cream that is just perfect for so many wonderful treats including these Zeppole di San Giuseppe. 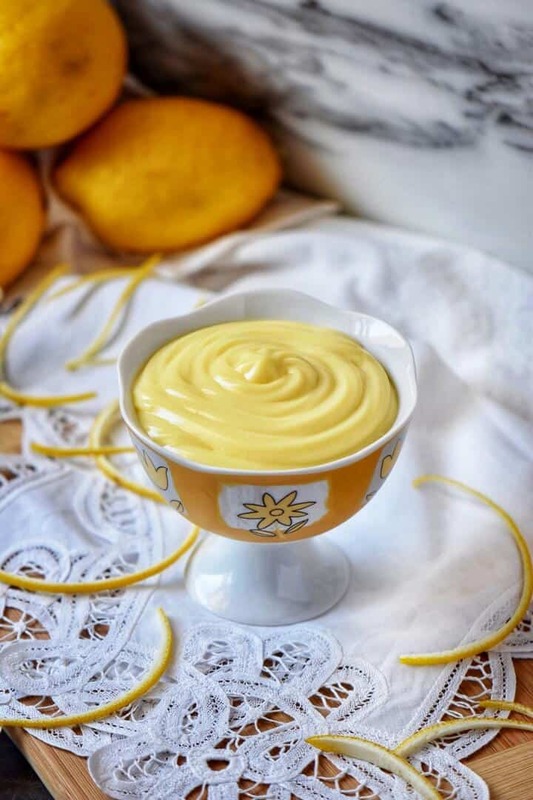 A rich and thick lightly scented lemon infused pastry cream recipe made with eggs, milk, sugar, cornstarch and a pinch of salt. This gluten free pastry cream is referred to as crema pasticcera in Italian and is an essential component in many Italian desserts. In a medium, heavy saucepan, over medium heat, combine the milk and lemon peel. When milk starts to steam, remove from heat (do not allow milk to boil). Let stand for at least 10 minutes allowing the lemon peel to infuse the milk. Meanwhile, whisk eggs with sugar for one minute. Sift cornstarch and salt together. Add dry mixture to egg mixture. Whisk continuously for about 5 minutes or until the mixture becomes light colored. 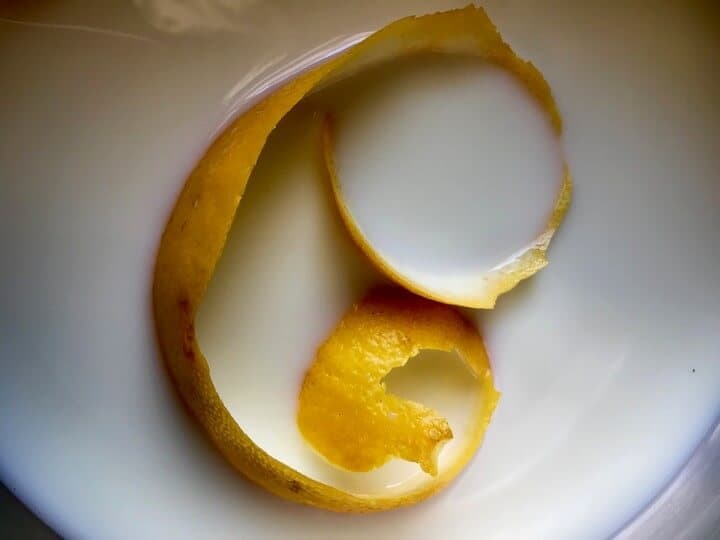 Remove lemon peel from the milk. While whisking continuously, add a ladle of hot milk to the egg mixture. Gradually add all the hot milk while whisking. Transfer mixture to saucepan and over medium heat, whisk continuously for about 5 minutes. Mixture will thicken. Do not allow mixture to come to a boil. Allow the mixture to cool down for a few minutes. Transfer mixture to a ceramic or glass dish. Place a piece of plastic wrap in direct contact with the pastry cream. Refrigerate until ready to use (should be used within 3 days). Each serving is equivalent to 2 tablespoons. 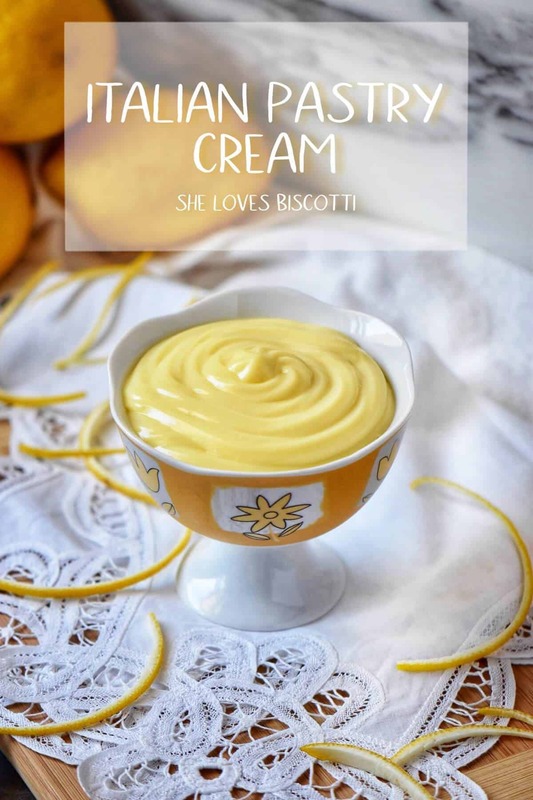 The consistency of this pastry cream is perfect for cream puffs and eclairs. If making a layered cake (example Boston Cream Pie) the addition of 1 teaspoon of cornstarch will contribute to a thicker pastry cream. Delicious recipe! I infused with a vanilla bean as well as the lemon. Definitely a make again! Fantastic Liv! I am thrilled to hear this 🙂 I think I would love the addition of vanilla to this pastry cream… thanks so much for sharing. Appreciate you taking the time to write about your experience with this recipe. Have a great weekend! Amazing. I used this as filling along with lemon curd to make a lemon meringue pie profiterole. Perfect lemon balance in the pastry creme. I added a vanilla bean to diffuse with the lemon as well. Sounds yum! This is exactly what I was looking for! Do you have to eat this immediately or can you store it and for how long? Hi Maria! This looks wonderful. I just tried a version with 00 flour instead of cornstarch but fear I may have taken it off the heat too early. It’s in the fridge but never thickened up. Is there anything I can do to save this batch or should I toss it and try again? Thank you! Oh, I’m sorry to hear this Alissa. This is what I would do. Try reheating it in a double boiler, and add some cornstarch which has been dissolved in water. Maybe 1-2 tablespoons. Keep stirring until it thickens. There is always the risk that the whole mixture will separate. Another option is to use it as a sauce over plain vanilla cake or as a topping for fresh fruit. Perhaps a trifle? I blind baked a strip of store bought puff pastry dough. I made this lemon cream and topped my baked dough. Then i topped the cream with with blueberries. Great recipe. Will be my go to recipe. I’ve made pastry cream in the past using flour. So glad it’s made with cornstarch. Never would have thought it would end up with same results. Your cream looks fantastic. A little thicker version would work for Zeppole. Will definitely try this. 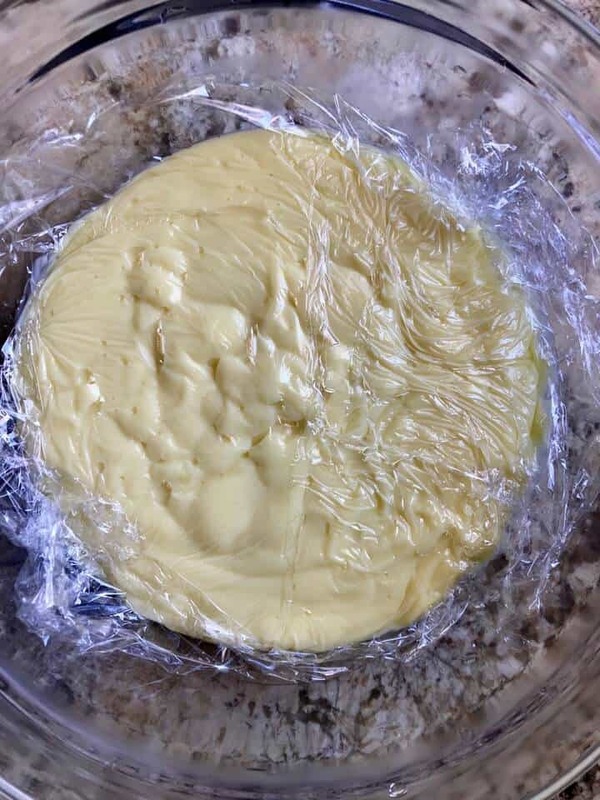 Excellent and detailed post on how to make pastry cream. I know I would definitely enjoy the lemon version. So luscious and smooth! 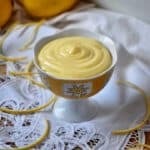 Crema al limone has always been the snack after school I would ask my mom to make and eat it by the spoonful. I still use her recipe, similar to yours but with 00 flour instead of cornstarch and no butter. It looks absolutely fantastic, such an amazing compliment for so many desserts.